"Our lectures and tutorials are hands-on and interactive; they aren’t broadcasts, they are discussions." At City, the BSc Accounting and Finance is part of Cass Business School, which is ranked 1st in London in that subject area (Guardian University Guide 2017). Cass also offers courses in Actuarial Science, Business, Finance and Management. Dr Pawel Bilinksi is the Director of the Centre for Financial Analysis and Reporting Research and a Senior Lecturer in Accounting. 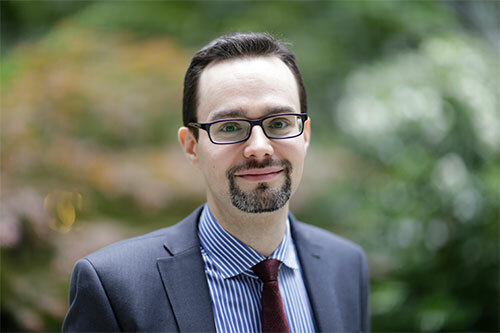 Pawel has experience teaching accounting and finance courses in the UK, Hong Kong, Dubai, China and Saudi Arabia. Before arriving at Cass, Pawel taught at Manchester Business School. “Contrary to what many people think, there’s more to accounting than bean-counting. Companies are constantly faced with decisions about what products to sell or how to react to external markets. To make these decisions, you need accounting. Pawel teaches on the ‘Introductory Management Accounting’ in the first year of a number of Cass Business School programmes.